This property has the X-Factor! 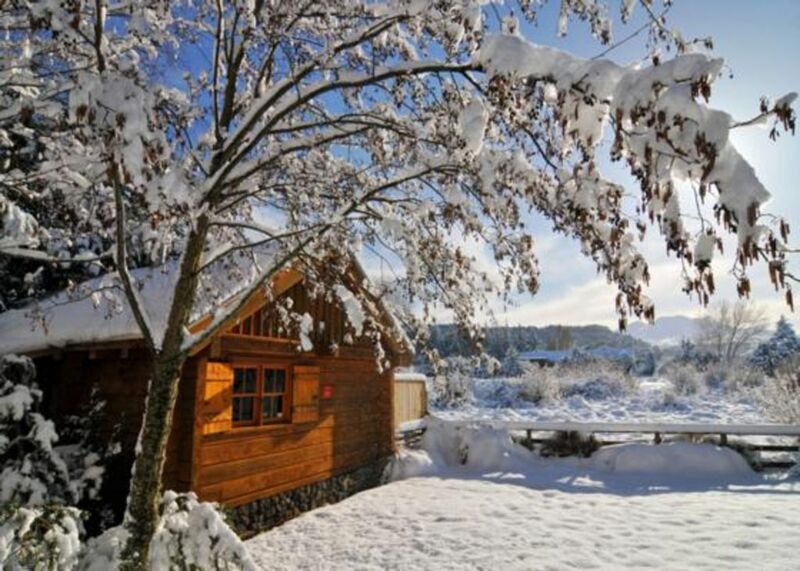 Gorgeous incredibly private and quiet Log Cabin, with sundrenched decks, tucked away and surrounded by trees and fields a park and river running by... a rural setting, yet only 600 meters to the middle of town. Enjoy a hot bubble bath on the deck under the stars with candle light and bubbles! Linen provided for 1 Queen andamp; 2 Double beds, also the two narrow singles, (suitable for one adult or two smaller children toe to toe, L-shaped couch downstairs). An additional double airbed also available. On your arrival; the cabin is warm andamp; cosy with the fire going, beds made up, ready to relax andamp; enjoy! The loft sleeping accommodation is accessible by a ladder, which is not suitable for everyone. Really comfy cabin, and loved the outside bathtub. Convenient location too! Stayed for only one night with my daughter, but all our needs were catered for. Love not having to bring linen! Suzi was lovely to deal with and I can see this would be a great place to stay for both summer and winter trips with an amazing private deck facing a reserve. Loved the cabin. Especially the back deck with the outside bath tub and stunning view of the mountain.